Some historical artifacts pose a dangerous and costly challenge to those of us living today and to future generations. Unlike stone ruins, carefully preserved books or dusty archival papers, the toxic waste produced by past industrial activities contaminate environments around the world, threatening our health and our economic future. Here in Canada, a review board just released a report on how to clean up the “237,000 tonnes of highly toxic arsenic trioxide dust stored in 15 underground chambers” that remained after the closing of Giant Mine in Yellowknife (CBC). The outlook is grim. The clean up will costs up to one billion dollars, but will not provide a permanent solution to freeze the toxic waste in place. Because current technologies can not safely remove the arsenic, the report requires further research and a reassessment every twenty years until a permanent solution is found. Giant Mine was an economic success story, which extracted 220,000 kg of gold in a little more than half a century of mining , but also left behind a costly and dangerous toxic legacy. This tension between the economy and the environmental date back to the beginning of rapid industrial development in the early nineteenth century. As Britain industrialized, people became aware that economic progress came with a significant costs for the rivers and land surrounding factories, chemical works and smelters. James Winter, in Secure from Rash Assault (2002), traces a growing tension between nineteenth century enthusiasm for economic and technological development, and an awareness of the “heaps” of pollution and otherwise blighted landscapes created by industrial innovations. As industrialization spread from the English midlands to the rest of Europe, the Americas, Asia and Africa, this tension between remarkable economic and technological advances and environmental consequences became a growing concern. What has changed over time is the scale of industrial development. Throughout the twentieth century factories and mines grew to an enormous scale and large regions of the globe developed concentrations of industrial activity (the Great Lakes region of North America, the Ruhr Valley, and the Yangtze River Delta). As a result, the environmental consequences are increasingly giant. Environmental regulations improved conditions in some countries during the second half of the twentieth century, but these countries still have many legacy sites of pollution. Moreover, as the Giant Mine example demonstrates, there are significant gaps in the regulations and the promise of large economic returns and job creation often leads to significant compromises. In other cases, accidents cause radiation leaks and toxic waste spills. As a result, the problem of concentrated “heaps” of pollution remains a major problem. Chernobyl/Tokaimura, the Love Canal and the Sidney Tar Ponds are just a few major examples among the many toxic and contaminated sites that provide a real and dangerous archive of past industrial activities and disasters. A recent study concludes that living near these toxic sites can be equally dangerous as the threat of malaria in India, the Philippines and Indonesia. As many of these sites will remain dangerous for generations to come, we need to plan carefully to contain these dangerous archives. John McNeill explores the global history of human interactions with the environment over the twentieth century in a book entitled Something New Under the Sun. He convincingly argues that the scale of human activities and the growing population transformed the relationship between humanity and the natural world during the course of the twentieth century and that we are all partaking in an experiment on a global scale. The Giant Mine in Yellowknife is one of many toxic archives that we will pass on to future generations to record the massive scale of our successes and failures during this era of abundance. Jim Clifford is a co-editor of ActiveHistory.ca. 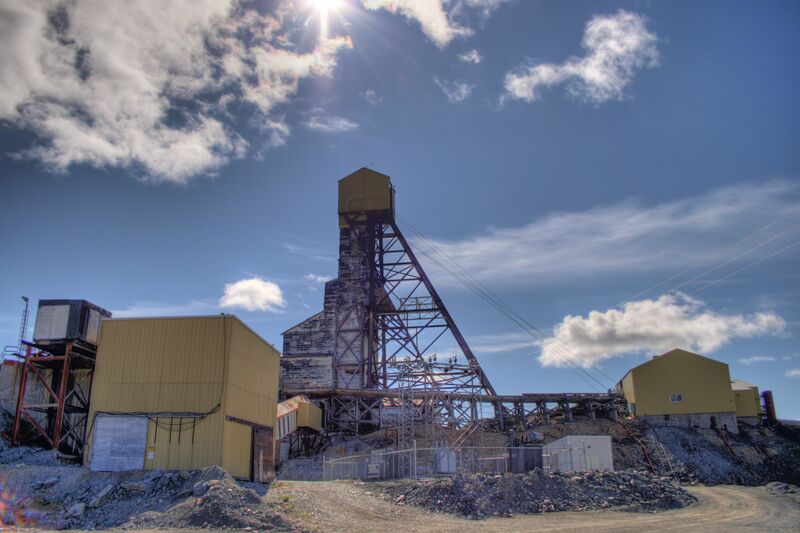 Visit the Abandoned Mines in Northern Canada website for more information on Giant Mine. In particular, you can read a report written by John Sandlos and Arn Keeling for the Mackenzie Valley Review Board. John McNeill, Something New Under the Sun, An Environmental History of the Twentieth-Century World. (W. W. Norton, 2000).